When there's something strange in your neighborhood, who ya gonna call? BATMAN! 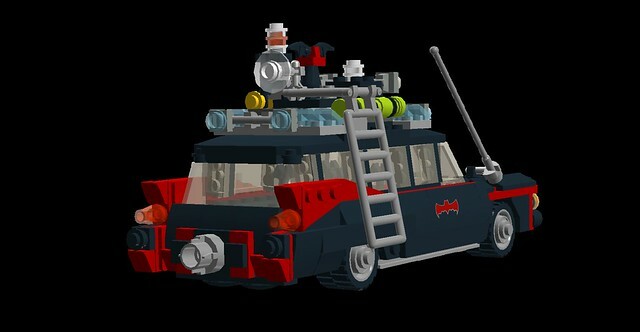 In order to allow Batman to fight ghosts, I have modified the Ecto-1 to look like the Batmobile that Adam West drove in the 60's. 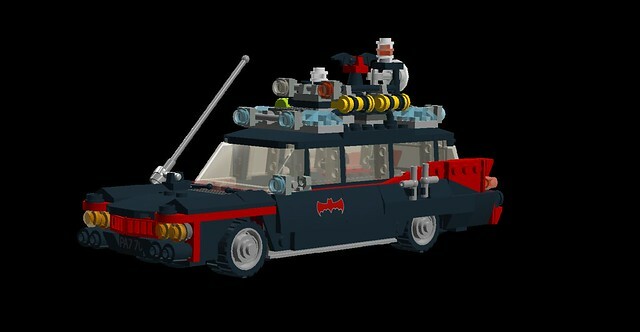 It has the same black and red color scheme and features the Batman logo on the side instead of the Ghostbusters one. And in the back, there is the obligatory jet exhaust again, plus those two black boxes that are next to it, whatever they are which contain the parachutes. As always, comments and criticisms are welcome. Brilliant. It fits right in. Had there ever been Batman fighting ghosts? If not, there NOW SHOULD be!! Way better than the Batlorean, really like it! 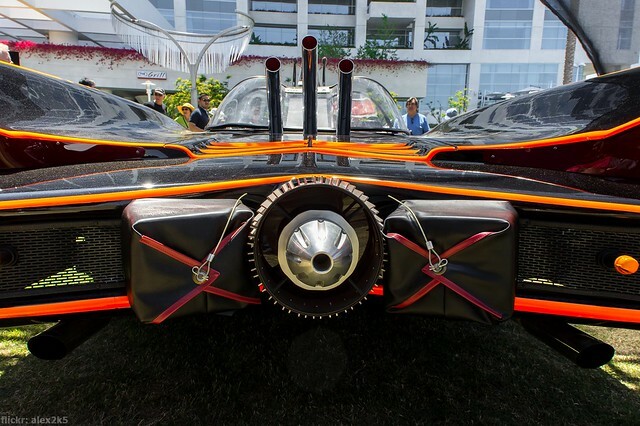 Way better than the Batlorean, really like it! Thanks! And yes, yes there has. 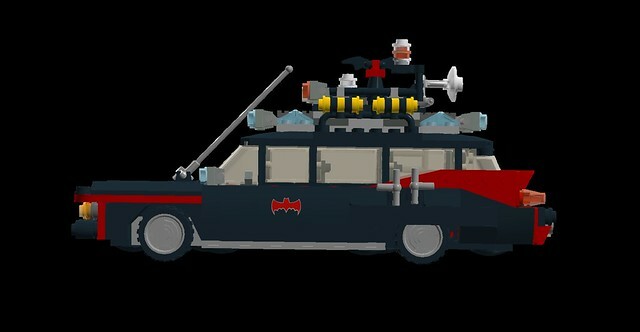 This vehicle should be very useful for fighting Gentleman Ghost! I love it! 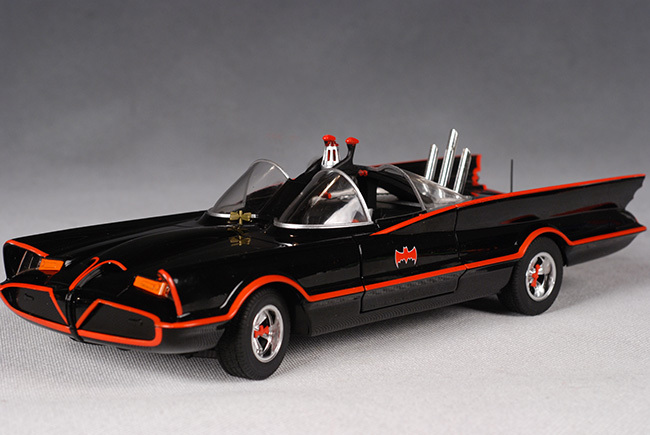 I think this is better than the Bat-DeLorean. Nice job! The boxes are parachutes for drag-racing. Good looking Bat- MOD, Oky! Ah, that makes sense, thanks.